With workplace disciplinaries on the rise, HR frequently has to deal with angry employees who feel their trust has been breached. But Josh Sunsoa asks, does HR bring this situation on itself? Have you ever witnessed perfectly normal staff suddenly become so enraged that they lose all sense of proportionality or judgment when it comes to the initial process of contract termination? HR might well brush this experience off by considering it to be the natural reaction to someone about to lose their livelihood. But organisations help create the very conditions they end up fighting when a disciplinary turns into a termination. Through their own processes and systems, HR professionals are often responsible for creating the conditions that lead employees to react in such a way. It was Dr Steve Peters, the psychiatrist behind the British cycling team’s extraordinary medal haul at the 2008 Beijing Olympics, who said that when people lose self-control, what really happens is that there is the emergence of someone’s “inner chimp”. For these people, Peters argues, the irrational side of their brain – the part controlling their survival – kicks in and completely overwhelms normal cogent processes. And this is exactly what happens when people are told they are about to lose their job. It is the inner chimp that rushes to the surface and creates ugly confrontation – but it is largely HR’s fault. HR has an issue with the rising numbers of dismissals that get messy and litigious and end up costing firms more than they would like. But the truth is, HR spends too much of its time building a culture of support and care so that when the reality of a dismissal happens, it is only to be expected that employees blow their top. The problem is that HR gives out too many messages of continual trust – for example, continually running employment surveys or creating conditions so that management spends time and energy lavishing staff with care, attention and praise. If staff are suddenly told they need to move on – and in all of the cases I deal with, this is unavoidable – then, quite rightly, they feel there has been a breakdown of trust. According to the latest quarterly statistics, the number of employment tribunals lodged in recent months has fallen dramatically (by 79%) since fees were brought in last July. If claims are not now reaching court, dismissal processes themselves will be the new battleground. Employee “exits” are only going to get more heated. All of this can, however, be completely avoided. Right from the start, HR needs to play things in a much more neutral way. Staff must know exactly what they are getting from their employer – and that means being informed about the need for them to move on if circumstances dictate. This is not about being blunt and treating staff poorly or not fostering a sense of engagement; it is about treating them proportionately with the correct levels of expectation and being consistent. Nor is it about not having departments that say different things to staff – it is instead about making sure that messages given to staff are about the whole lifecycle of their employment. Those who say it is not possible only need to realise that “inner chimp” employees pose huge dangers for organisations. They have the potential to make all sorts of demands and all that happens is that you need to resort to more heavy-handed legal resumptions. 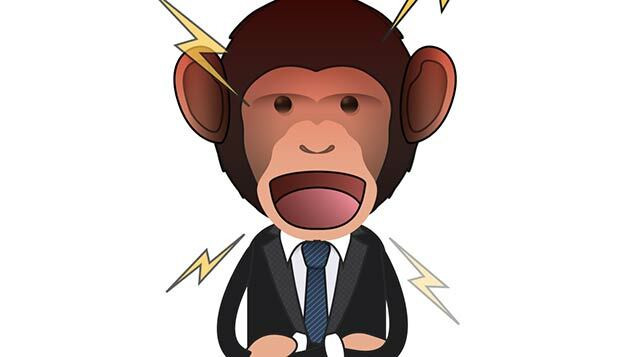 If you keep staff on the right side of a negative reaction to them losing their job – by having been consistent on your approach throughout their employment journey – the chances are that the inner chimp will be kept at bay. This is a much more honest answer to the problem of dealing with disciplinaries. The more HR fads there are, the harder it is for staff to be contained. Fads serve to make HR look weak. But it’s not just HR that has to be stronger. The mindset of the business has to change, too – to say that we as a business need to change the way we do things. This requires a firm, but not unfair, process to happen. And I do believe it is possible. It makes perfect sense. Consumers of HR want consistency in how they are dealt with. If HR was upfront and told staff that they exist to protect their employers, but also that their job is to help govern their employees, it would change all the conversations I have with staff on their way out. At the moment, staff do not have a choice in this partnership because HR wants too much to be their friend. I say break this habit. Things do not have to be this way. You can be proportional and professional at the same time. 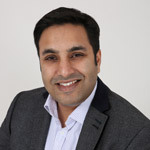 Josh Sunsoa is the founder of Sunsoa & Co, an HR consultancy providing professional advice on the management of business restructuring, executive terminations, TUPE transfers, workplace investigations and recruitment campaigns. “Inner chimp”, what utter twaddle. The best thing Dr Peters could do for us is to get on his Trickcyclist’s bike a go. There is no “irrational side of the brain”, as Dr P asserts, this is materialist reductivism based on highly speculative association of brain activity mapping while overlooking how other areas of the brain work. You have in fact identified part of the reason for the reaction of some employees when they feel threatened by the sack. HR spend much time and effort being everyone’s friend. They organise team-building, promote training and personal improvement, strengthen corporate identity, look after your pay, conditions, ease you toward retirement . You could be forgiven for being angry when suddenly you realise that you are only important to them as a Resource, not as a human. Let’s face it they would be just happy to be Chimp Resources as to be HR, just so long as you don’t get all irrational, or plain old-fashioned angry.